Tomatoes, mince, chicken and pasta; oh my! 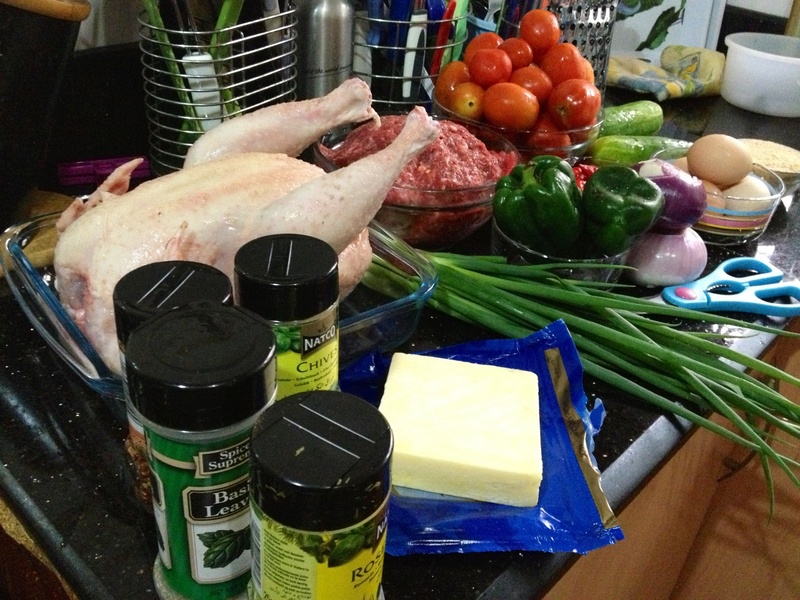 The versatility of ingredients is one of the things that fascinates me about cooking. One ingredient can be transformed to make so many delicious meals that the possibilities are almost endless. 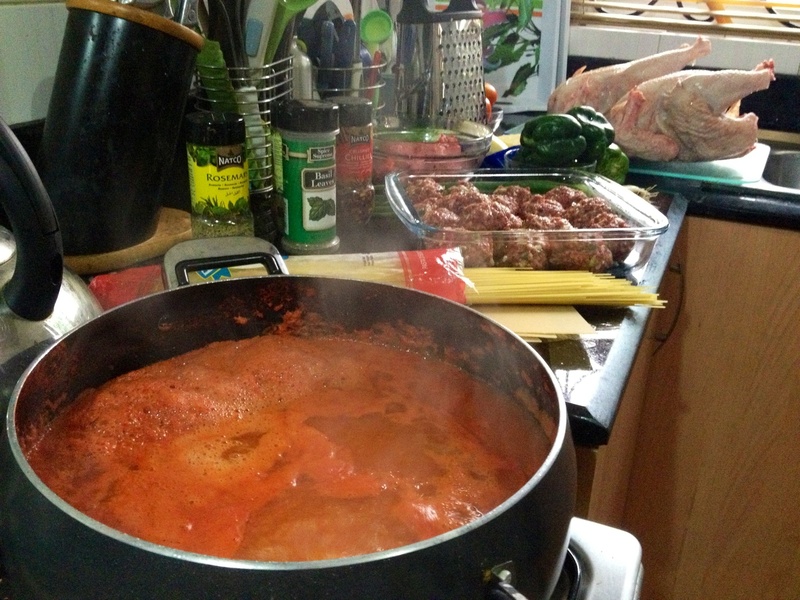 In this food lab exercise, I applied the everyday tomato in 3 different dishes and the results yielded truly gastronomic delights but don’t take my word for it, ask my hubby :)…..
With these ingredients, I prepared meatballs in tomato sauce, lasagna and herbed chicken (which was incorporated into a stew (Nigerian tomato sauce). In a blender, add the tomatoes, red onions and scotch bonnet peppers. Reserve some tomatoes for garnish. Blend until completely liquified. Cook mixture for 30 minutes; bring the mixture to boil then let it simmer. I don’t usually add a great deal of water when I am blending tomatoes so 30 minutes is enough time to get the consistency I am looking for; you may need to adjust your cooking time to suit your preference. 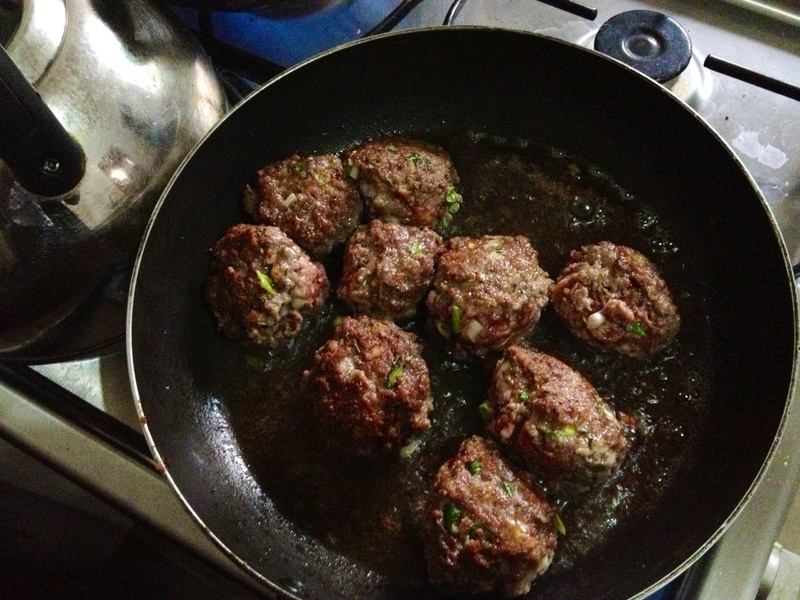 Then using about 1.5kg of mince beef, in a bowl, add 3 eggs, 4 finely chopped green peppers, 1 teaspoon of chives, 1 teaspoon of basil, 1 teaspoon of sage, 2 teaspoons of salt, 2 teaspoons of black pepper and one cup f bread crumbs. 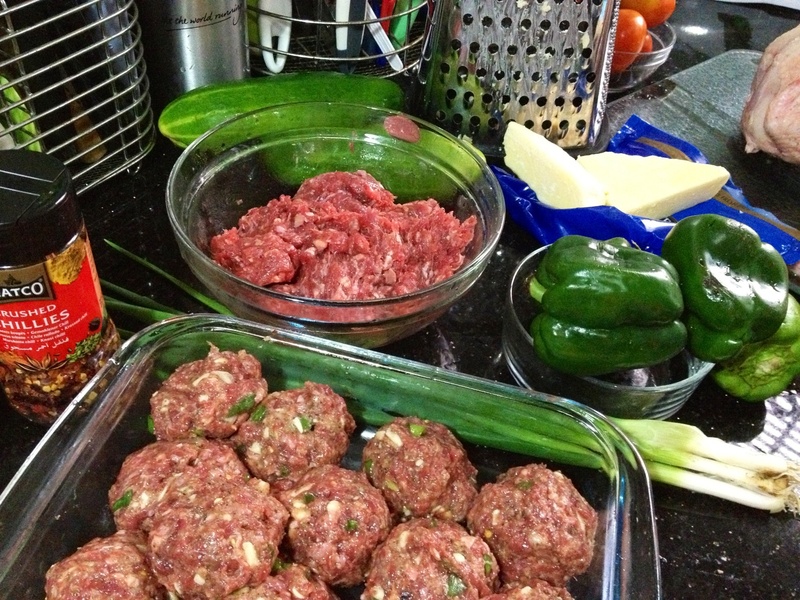 Mix with your hand until all ingredients are fully integrated then form even sized balls and set aside. In skillet heat, 4 table spoons of vegetable oil (I used corn oil) and add meat balls, brown and take out of the pan without cooking the meatballs through. Using the same pan that was used to brown the meatballs, add, 3 table spoons of vegetable oil, some chopped onion and garlic and saute for 2 minutes. Ladle in about 3 – 4 cups of the cooked blended tomato. Let simmer for 8 minutes, add 2 bay leaves, 1 teaspoon of dry sage, 1 teaspoon of black pepper and 1 teaspoon of salt then re-introduce the browned meatballs to the pan. 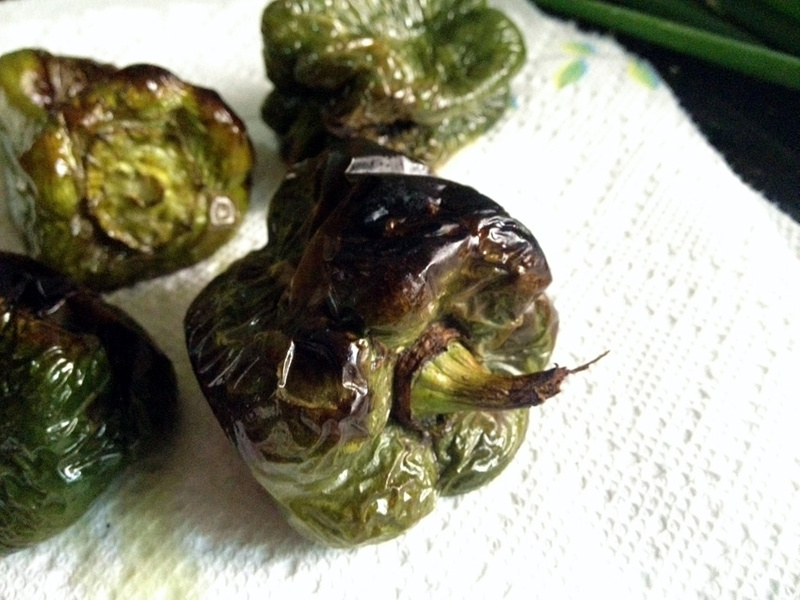 To boost the flavour profile of the sauce, I char grilled some local green peppers. 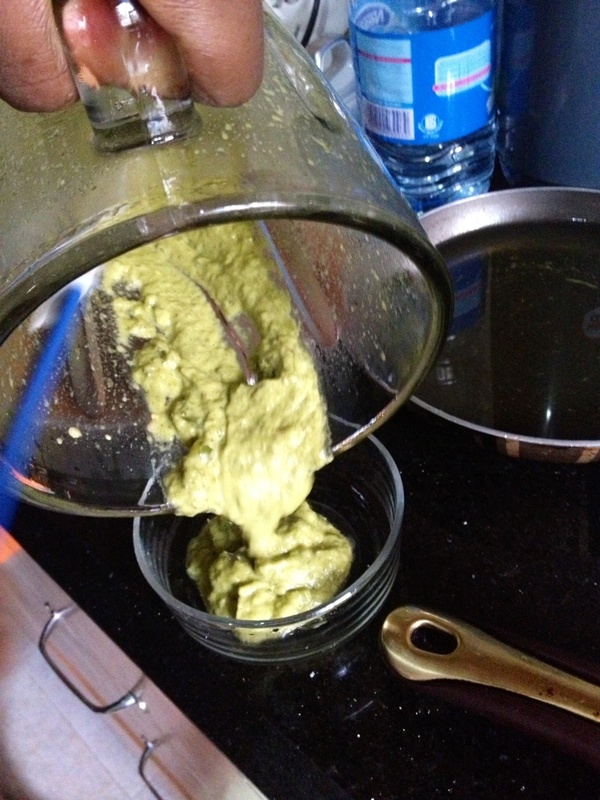 Blitzed them in a blender with olive oil and added the paste to the sauce in the last stages of cooking. You may use red, yellow or orange bell peppers, which are usually imported in Nigeria. I chose to use locally grown peppers because I try support the use of home-grown produce when possible. Cover the pan with a lid and let simmer for a further 12 minutes. Serve with pasta! NOTE: After char grilling the peppers, put in a bowl and cover with cling film for a few minutes or wrap in a clean tea towel to facilitate peeling before blending. 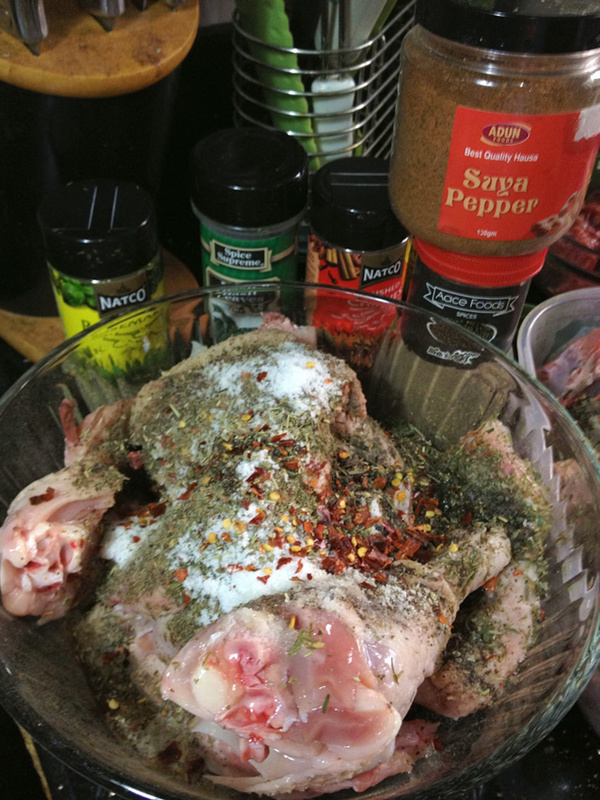 For the herbed chicken, I simply cut up two whole broilers and used a dry rub composed of chives, rosemary, dry ginger, salt, black pepper, chilli flakes, sage and some suya pepper. Spread the chicken parts on a baking tray and drizzle with oil and put in a 250 degree pre-heated oven for about 35 minutes or until the chicken juices run clear. Now for the lasagna. I used oven lasagna sheets so there was no need to pre-cook them. These are readily available in most major grocery stores and super market. I bought mine at Spar (Park N Shop). Grate 250 grams of mild cheddar cheese and set aside. You may also use some parmesan cheese but I used a mild soft cheese instead to counter balance the cheddar. In pan add 3 table spoons of oil, some chopped onions and saute for a couple of minutes. Add 3 cups of cooked tomato paste, 2 teaspoons of salt, 2 cloves of crushed garlic and 200 grams of mince beef; stir for about 8 minutes on a medium heat. 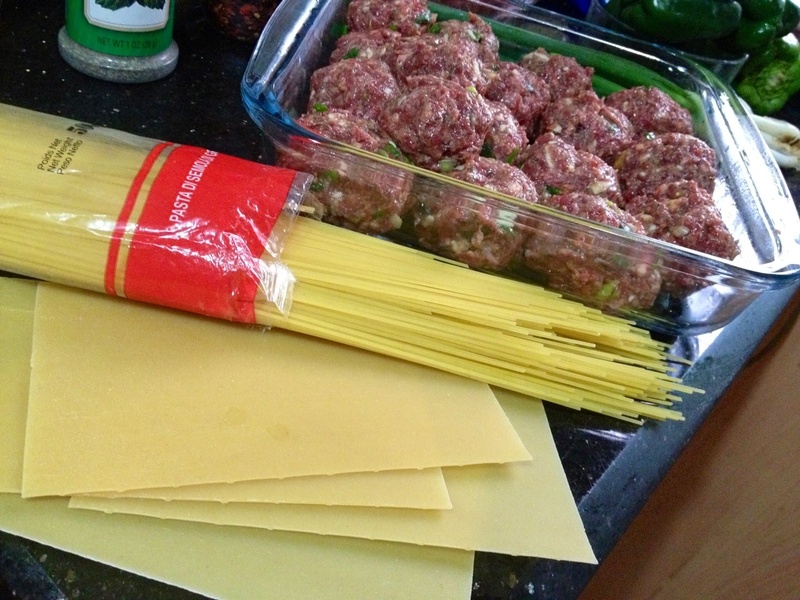 Set aside and prepare to assemble the lasagna. Get an oven dish, spread some of the tomato/mince sauce at the bottom and layer on some lasagna sheets, sprinkle with both the cheddar and parmesan, ladle tomato sauce over it and cover with lasagna sheets. Repeat process and be sure to end with lasagna sheets covered in cheese and tomato/mince sauce. 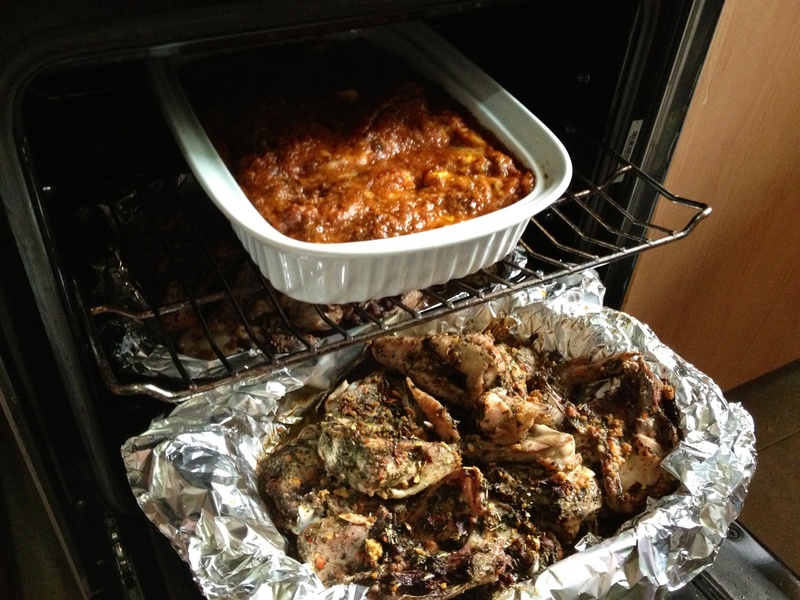 Put in 250 degree heated oven and cooked for about 30 minutes (Read the guide on the packet of the lasagna). 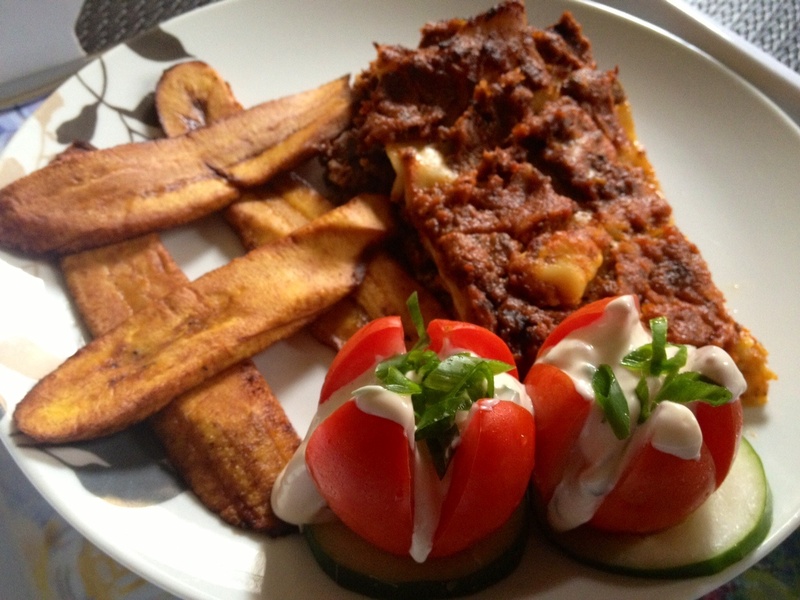 I opted to serve the lasagna with fried plantains and a simple tomato and cucumber salad. I hope I have helped bring some italiano inspired cuisine to the Naija table.